Looking to strengthen up your stroke? Develop a more powerful catch? Here’s why the VASA trainer should be added to your training arsenal. Almost daily I get emails from swimmers, coaches and parents asking about dryland. Should they lift more weights? Run more? What kind of exercises will help them kick faster? Pull harder? Be better-looking? 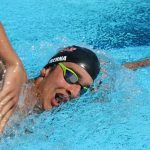 While I can’t attest to the last one, when it comes to pulling harder and faster there is a familiar tool (to competitive swimmers, at least) that does just that. Here’s a breakdown and review of the VASA trainer, what you get out of training with one, the difference between the two swim benches VASA produces, who else is training with one, and where to invest in one. What is the VASA Trainer? The VASA Trainer (and it’s partner-in-crime the VASA Swim Erg) are dryland training and power-building devices for swimmers. They are simple in design and simple in functionality. You lay down on a bench, grab a couple handles, and pull against the resistance of gravity or a flywheel. By doing so, we strengthen our pulling motion, increasing the amount of strength we have in the water. 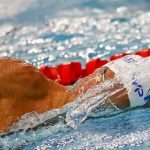 Stronger pull = faster swimming. There are a lot of reasons to train with one of these. While it shouldn’t replace actual time spent in the water, a VASA Trainer can seriously compliment the work you are already doing. Works the high elbow catch. A majority of the power comes from that first part of your pulling motion—the vaunted high elbow catch. The higher your elbow, and the stronger your shoulder and arm while in that position, the faster you are going to go. It’s about as simple as that. 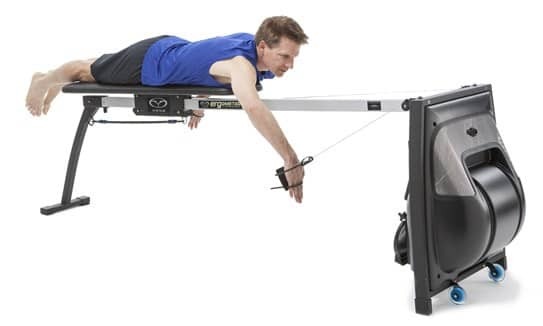 The first thing you will notice when you get on one of these is that the VASA trainer forces you to get into that position. It’s sport-specific. 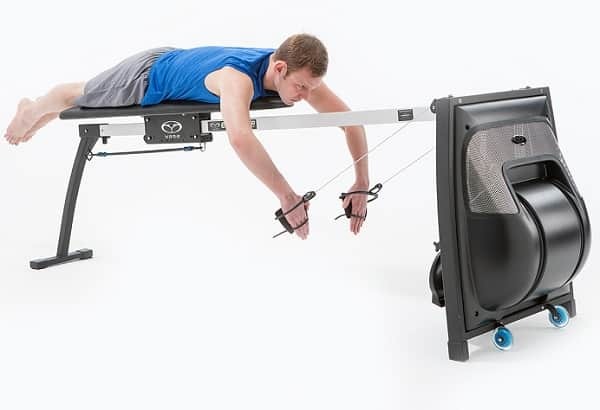 Instead of spending hours and hours in the gym building bulk and muscle mass that doesn’t always transfer to the pool, the VASA trainer targets the same muscles and range of motion that swimmers use in the pool. In terms of swim-specific dryland, it doesn’t get any closer than this. Easy way to target technique errors. 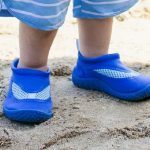 Without having to worry about your breathing patterns or kicking you can give complete and total focus to the technique you are using. 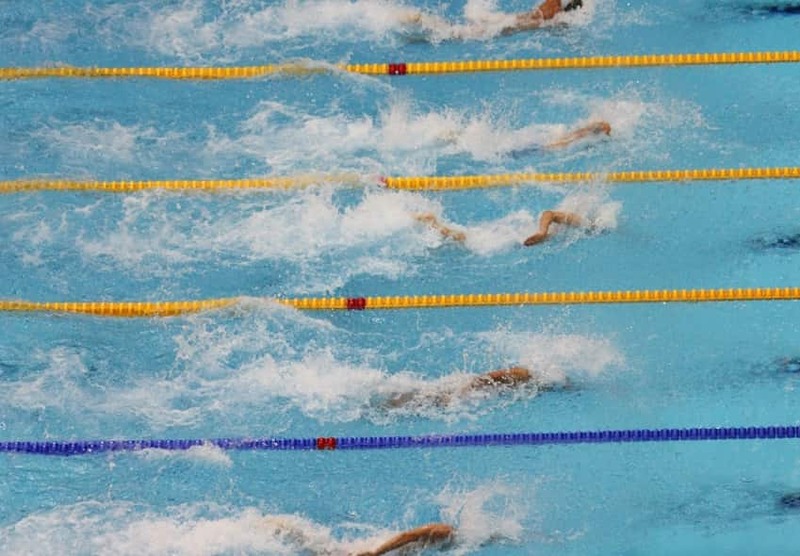 Building an excellent stroke doesn’t happen by accident. Getting onto a VASA trainer allows your coach to stand right there with you and give you the cues and corrections necessary to make your stroke more efficient. Train stroke tempo. 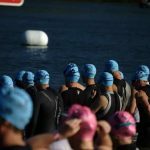 Hitting your target stroke rate in the water isn’t always possible, and it’s not always doable for enough time to generate the training adaptations you want. This is especially true for sprinters, whose high-turnover stroke rate can only be done in bursts. 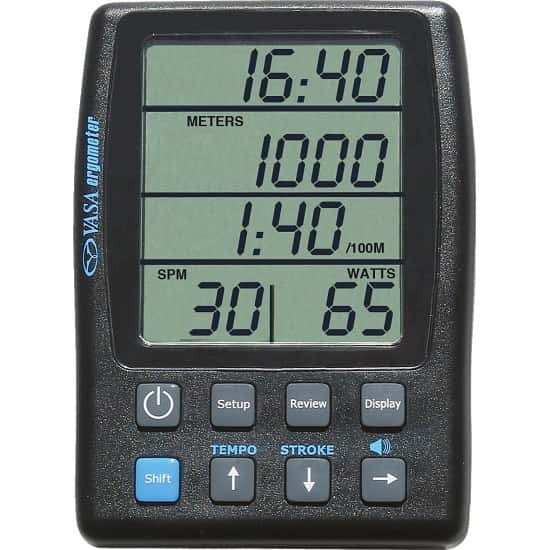 The VASA trainer allows you to set a desired stroke rate on the Power Meter and put in a bunch of reps quickly. Programming that matches your goals. While jumping onto one of these bad boys and smashing a bunch of reps until your shoulders fall off is one way to go about it, you can be far more targeted with your approach by programming the VASA’s Power Meter. Whether you are training for flat out distance, power output (measured in watts), stroke rate, elapsed time, or doing intervals, the Power Meter gives you a wealth of training options. 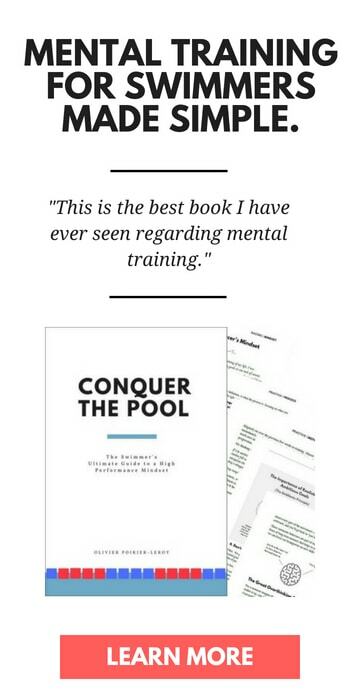 The motivational impact of this is hard to overstate—by giving yourself measurable targets on the swim erg you have something to work towards and proof that you are getting stronger. Who else is using the VASA trainer? The VASA trainer, or imitations of it, are on the pool deck of just about every pool that houses a high-performance swim team. Clubs including the University of Southern California, Mission Viejo Nadadores, NOVA Aquatics, and many more all use this swim bench. We had a couple on hand when I lived in Vancouver and trained at UBC (which now houses a high-performance center as well), and the local teams and high-performance center in Victoria has them as well. 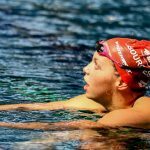 You get strength training as well as stretching, and I think that’s extremely crucial, especially when you swim long course meters. It’s important to have long, lean muscles and I think VASA really allows you to do that. 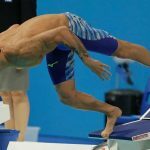 Additionally, Kredich notes that technique improves with use as the athlete generates a better understanding of proper stroke mechanics. If the general movement is the same why shell out extra cashola for a VASA trainer compared to a set of cheap rubber cords? I’ve owned both over the years and there are advantages (and disadvantages) to both. Stats. The VASA SwimErg (more on the difference later) gives you a variety of feedback and information regarding your performance on the bench. Things like intervals, power output (big bonus), and more. With a stretch cords you are limited to timing yourself and counting your own strokes. Posture. This is the main difference in my opinion—one of the more cringe-worthy things I’ve witnessed on deck is watching a swimmer lasso a stretch cord around a flag pole, bend over, and start wailing on the cords with their back hunched and their head dropping between their shoulders. Left to their own devices our posture goes to Saggytown. A swim bench nukes this problem by having our body laid out flat. VASA produces a couple different swim benches. The first is the Trainer Pro, where the swimmer has to pull up against gravity in order to complete a rep. This is the original design. It is priced at around $1,000 (still cheaper than most good stationary bikes or treadmills—and also far less likely to break down over time) and can be folded away when not being used. In order to make it more difficult you increase the angle of the bench. 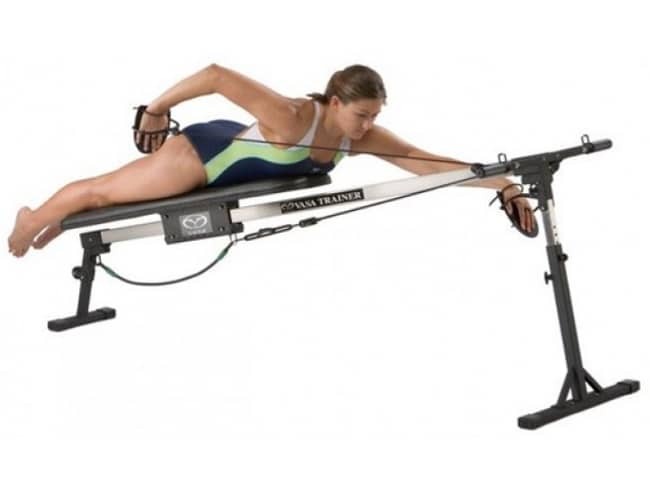 The other is the VASA SwimErg, that is like the rowing machines you see at the gym. 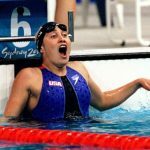 Bulkier and more expensive (starting at around $2,000) than your regular swim bench, it gives athletes 7 different damper settings that scale difficulty. If you are a data nerd like me this is likely the version you want—it comes with a Power Meter that pumps out details of your workout including wattage. 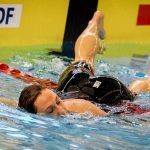 The Best Swim Lap Counters for Tracking Laps and Reps. Stop losing track midway through your swim workouts with the best lap counters for swimming.